« Do You Want To Avoid Going To The Dentist For A Filling? As you age, you become more and more at risk for a wide range of health problems, including oral health disorders. Darkened teeth and tooth decay are a few of the dental care issues that are common place among seniors. 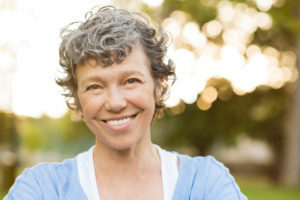 Regardless of the condition of your oral health, your teeth and gums have more wear and tear during your senior years compared to when you were in your twenties. So, it is essential that you focus on your dental hygiene when you are an older adult. When it comes to getting older and being a senior, it is common to experience dry mouth. If you are any medications to treat a wide range of health issues, dry mouth is often a side effect. Dry mouth can create a breeding ground for bacteria and plaque to form, which can lead to cavities and gum disease. So, it is essential that you are drinking water throughout the day and staying as hydrated as possible. If you are a senior that use removable dentures, it is essential that you clean them regularly. Dentures come in contact with your gums, so you want to clean them on a daily basis to prevent gum disease. Talk to your dentist about the best cleanser for your dentures and make sure to use it daily. You want to avoid food particles and plaque from building up on your dentures. Advancements have been made within dentistry for permanent dentures or dental implants to be widely available. One of the most important tasks you need to complete is to brush and floss your teeth on a daily basis. Make sure that you are brushing your teeth and gums gently so that you do not damage your enamel. As you age, your enamel gets weaker and weaker, so avoid brushing aggressively. It is essential that you floss when you are a senior to get rid of plaque that brushing might have missed. This entry was posted on Friday, November 16th, 2018	at 4:42 pm	and is filed under Oral Health / Dental Health Tips in Catonsville	. You can follow any responses to this entry through the RSS 2.0	feed. Both comments and pings are currently closed.